Barnacles Hostel Dublin is one of Ireland’s most popular hostels and is located in the Temple Bar area of Dublin. This is a modern, clean, secure hostel in the heart of the most popular night life area of Dublin. There is a kitchen where guests can prepare meals, a laundry service, free internet access and other services. 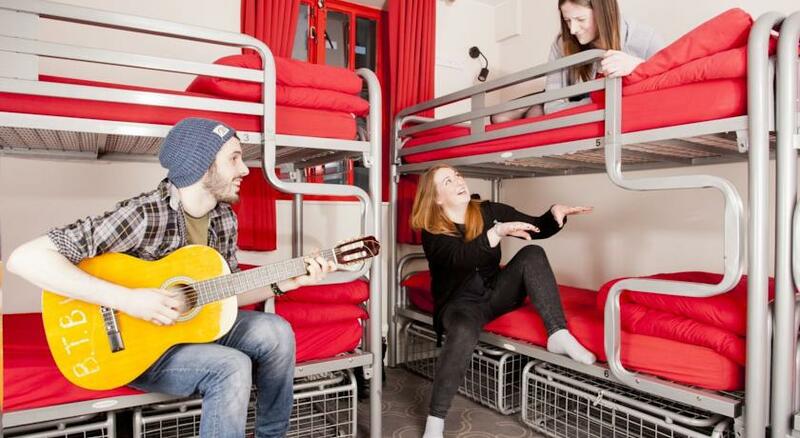 This is the ideal budget accommodation in Dublin city for young people, students and back packers but it can also accommodate couples and families who are travelling on a budget. There is a wide choice of room types which can be categorised into private rooms or dormitories. Private rooms are ensuite and canbe twin, double, triple, quadruple or family rooms. Dormitories are either mixed or female only and can sleep from 6 to 11 guests. There is a 24 hour staff presence to help guests with any enquiries. Barnacles is in Temple Bar and is surrounded by great pubs, restaurants, cafes and night clubs. There are many music venues in the area. Trinity College, Grafton Street, The Chester Beatty Library and Dublin Castle are all in the immediate vicinity.